Made from Mangalitza pork reared from Beal Farm's own herd of Mangalitza pigs. 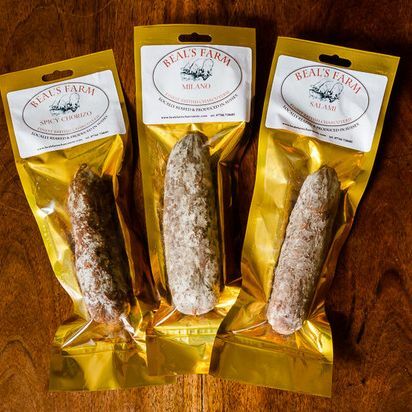 Beal Farm's Great Taste award winning classic pork shoulder, garlic and black pepper salami is made traditionally using a southern Spanish recipe. It has a satisfying meaty flavour, a favourite with many of the chefs that Beal's Farm supply. Available to buy in a quantity of four half sticks, each approximately 150g or one large stick of 300g. This product has a 60 day shelf life. 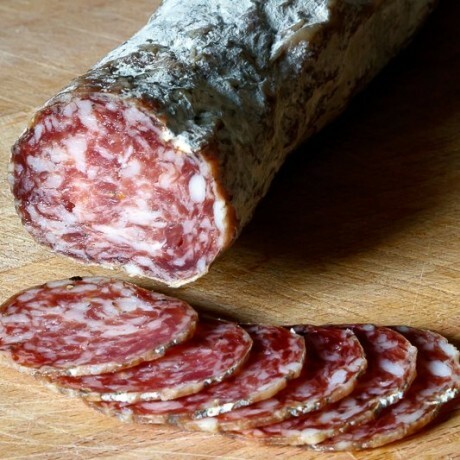 This product is dispatched by Beal's Farm Charcuterie. This item has a shipping weight of between 600g and 600g depending on the options selected.